Carla Renata aka The Curvy Film Critic is a graduate of Howard University and named one of 2018’s Underrepresented Critics of Color by the Los Angeles Times. Her reviews have been featured at AAFCA.com, Ebony.com, NPR.org, her own site The Curvy Film Critic, ET Live! Maltin on Movies, RogerEbert.com, Rotten Tomatoes, as well as, Rotten Tomatoes and Shadow and Act. 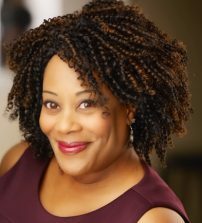 She is the producer, host and creator of The Curvy Critic with Carla Renata at Black Hollywood Live, as well as, Guest Hosting an evening of The Black Experience on Film for Turner Classic Movies sponsored by AAFCA. Catch her along with other critics and film enthusiasts as part of Focus Feature's "You Know That Scene" Season Two, streaming NOW via Facebook and Instagram.